For business or Professional users have to take an advantage of auto backup or auto create whole system backup offline in your system. 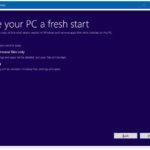 It’s very important for all if you are not using due to awareness or not able to find/ Activate then follow my instruction on steps for Create backup and restore point on windows 10/ windows 7 or windows 8. Now windows 10 is totally optimized and enhanced features including restore and clean windows 10. Follow the steps below for done in alternate ways. First, Open control panel from start menu or Search Start menu search. 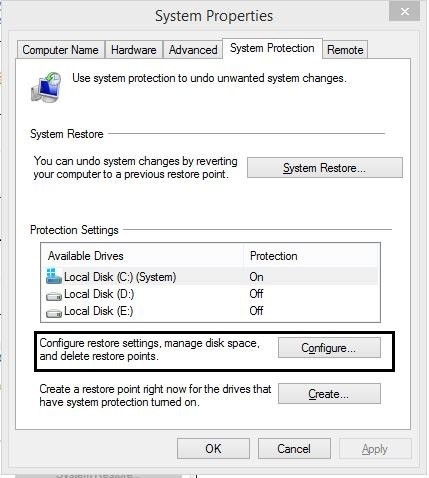 Second, under the control panel Click on “Configure System Restore”. 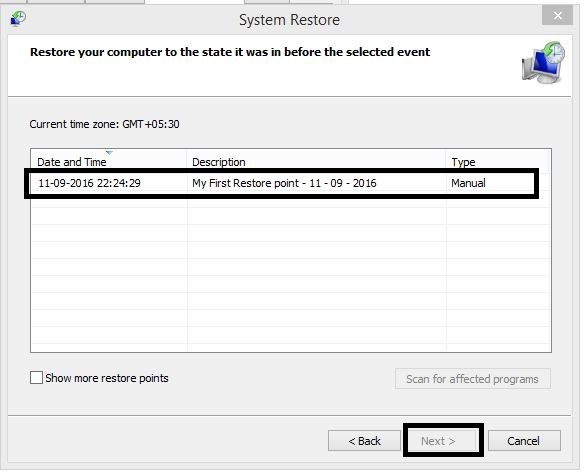 Next, you will see System properties windows otherwise Search Create Restore point in taskbar. Under the System Properties popup > System Protection > Choose Create button. Mark with some text for easily identify latest backup or restore point. 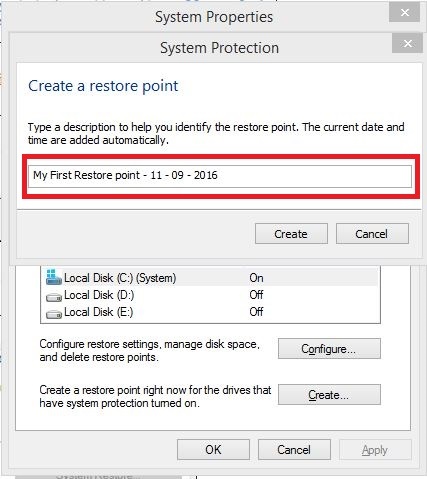 From System Property windows, Click on System Restore Button > Select Your latest backup point saved with name last time. Then follow the on screen instruction. More help and troubleshooting tips on windows system subscribe up on social page or Mail list.